A recent study provides new insight into why ovarian cancer is often resistant to chemotherapy, as well as a potential way to improve its diagnosis and treatment. Ovarian cancer is the most lethal gynecological cancer, claiming the lives of more than 60% of women who are diagnosed with the disease. A study involving Ottawa and Taiwan researchers, published in the influential Proceedings of the National Academy of Sciences (PNAS), provides new insight into why ovarian cancer is often resistant to chemotherapy, as well as a potential way to improve its diagnosis and treatment. “We believe this discovery is a promising avenue for developing a new therapy to reduce chemo-resistance in women with this deadly disease,” said Dr. Dar-Bin Shieh, collaborative partner from National Cheng Kung University of Taiwan. Shieh is currently leading the International Institute of Macromolecular Analysis and Nanomedicine Innovation (IMANI), which is focused on translating molecular discoveries to the clinic. The University of Ottawa is home to almost 50,000 students, faculty and staff, who live, work and study in both French and English. The campus is a crossroads of cultures and disciplines, where bold minds come together to inspire game-changing ideas. The University of Ottawa is one of Canada’s top 10 research universities — our professors and researchers explore new approaches to today’s challenges. One of a handful of Canadian universities ranked among the top 200 in the world, we attract exceptional thinkers and welcome diverse perspectives from across the globe. Abedini MR et al. Cell fate regulation by gelsolin in human gynecologic cancers. PNAS 2014 ; published ahead of print September 22, 2014, doi:10.1073/pnas.1401166111. A way to kill chemo-resistant ovarian cancer cells: Cut down its protector. Ottawa Hospital Research Institute Press Release, September 24, 2014. Early but promising tests in lab mice suggest that a bioengineered protein therapy, administered intravenously, may halt the spread of breast and ovarian cancers from their original tumor sites. Mice with ovarian cancer had a 90 percent reduction in metastatic nodules when treated with the engineered decoy protein. This approach might one day provide an alternative to, or supplement, chemotherapy. A team of Stanford researchers has developed a protein therapy that disrupts the process that causes cancer cells to break away from the original tumor site, travel through the bloodstream and start aggressive new growths elsewhere in the body. This process, known as “metastasis,” can cause cancer to spread with deadly effect. “The majority of patients who succumb to cancer fall prey to metastatic forms of the disease,” said Dr. Jennifer Cochran, an associate professor of bioengineering, who describes a new therapeutic approach in Nature Chemical Biology. Today, doctors try to slow or stop metastasis with chemotherapy, but these treatments are unfortunately not very effective and have severe side effects. The Stanford team seeks to stop metastasis, without side effects, by preventing two proteins – Axl and Gas6 – from interacting to initiate the spread of cancer. Axl proteins stand like bristles on the surface of cancer cells, poised to receive biochemical signals from Gas6 proteins. When two Gas6 proteins link with two Axls, the signals that are generated enable cancer cells to leave the original tumor site, migrate to other parts of the body, and form new cancer nodules. To stop this process Cochran used protein engineering to create a harmless version of Axl that acts like a decoy. This decoy Axl latches on to Gas6 proteins in the bloodstream and prevents them from linking with and activating the Axls present on cancer cells. In collaboration with Dr. Amato Giaccia, who leads the Radiation & Cancer Biology Program in the Stanford Cancer Center, the researchers gave intravenous treatments of this bioengineered decoy protein to mice with aggressive breast and ovarian cancers. The mice in the breast cancer treatment group had 78 percent fewer metastatic nodules than the untreated mice. Mice with ovarian cancer had a 90 percent reduction in metastatic nodules when treated with the engineered decoy protein. Drs. Giaccia and Cochran are scientific advisors to Ruga Corporation, a biotechnology startup located in Palo Alto that has licensed this technology from Stanford. Further preclinical and animal tests must be done before determining whether this therapy is safe and effective in humans. Greg Lemke, of the Molecular Neurobiology Laboratory at the Salk Institute, called this “a prime example of what bioengineering can do” to open new therapeutic approaches to treat metastatic cancer. “One of the remarkable things about this work is the binding affinity of the decoy protein,” said Lemke, a noted authority on Axl and Gas6 who was not part of the Stanford experiments. The Stanford approach is grounded on the fact that all biological processes are driven by the interaction of proteins, the molecules that fit together in lock-and-key fashion to perform all the tasks required for living things to function. In nature, proteins evolve over millions of years. But bioengineers have developed ways to accelerate the process of improving these tiny parts using technology called “directed evolution.” This particular application was the subject of the doctoral thesis of Mihalis Kariolis, a bioengineering graduate student in Cochran’s lab. Using genetic manipulation, the Stanford team created millions of slightly different DNA sequences. Each DNA sequence coded for a different variant of Axl. The researchers then used high-throughput screening to evaluate more than 10 million Axl variants. Their goal was to find the variant that bound most tightly to Gas6. Kariolis made other tweaks to enable the bioengineered decoy to remain in the bloodstream longer and also to tighten its grip on Gas6, rendering the decoy interaction virtually irreversible. Yu Rebecca Miao, a postdoctoral scholar in Giaccia’s lab, designed the testing in animals and worked with Kariolis to administer the decoy Axl to the lab mice. They also did comparison tests to show that sopping up Gas6 resulted in far fewer secondary cancer nodules. Irimpan Mathews, a protein crystallography expert at SLAC National Accelerator Laboratory, joined the research effort to help the team better understand the binding mechanism between the Axl decoy and Gas6. Protein crystallography captures the interaction of two proteins in a solid form, allowing researchers to take X-ray-like images of how the atoms in each protein bind together. These images showed molecular changes that allowed the bioengineered Axl decoy to bind Gas6 far more tightly than the natural Axl protein. Years of work lie ahead to determine whether this protein therapy can be approved to treat cancer in humans. Bioprocess engineers must first scale up production of the Axl decoy to generate pure material for clinical tests. Clinical researchers must then perform additional animal tests in order to win approval for and to conduct human trials. These are expensive and time-consuming steps. But these early, promising results suggest that the Stanford approach could become a nontoxic way to fight metastatic cancer. Glenn Dranoff, M.D., a professor of medicine at Harvard Medical School and a leading researcher at the Dana-Farber Cancer Institute, reviewed an advance copy of the Stanford paper but was otherwise unconnected with the research. “It is a beautiful piece of biochemistry and has some nuances that make it particularly exciting,” Dranoff said, noting that tumors often have more than one way to ensure their survival and propagation. Axl has two protein cousins, Mer and Tyro3, that can also promote metastasis. Mer and Tyro3 are also activated by Gas6. “So one therapeutic decoy might potentially affect all three related proteins that are critical in cancer development and progression,” Dranoff said. Erinn Rankin, a postdoctoral fellow in the Giaccia lab, carried out proof of principle experiments that paved the way for this study. Other co-authors on the Nature Chemical Biology paper include Douglas Jones, a former doctoral student, and Shiven Kapur, a postdoctoral scholar, both of Cochran’s lab, who contributed to the protein engineering and structural characterization, respectively. Cochran said Stanford’s support for interdisciplinary research made this work possible. Stanford ChEM-H (Chemistry, Engineering & Medicine for Human Health) provided seed funds that allowed Cochran and Mathews to collaborate on protein structural studies. The Stanford Wallace H. Coulter Translational Research Grant Program, which supports collaborations between engineers and medical researchers, supported the efforts of Cochran and Giaccia to apply cutting-edge bioengineering techniques to this critical medical need. Kariolis, MS et al. An engineered ​Axl ‘decoy receptor’ effectively silences the ​Gas6-​Axl signaling axis. Nature Chemical Biology (2014) doi:10.1038/nchembio.1636. Published online 21 September 2014. Stanford researchers create ‘evolved’ protein that may stop cancer from spreading, Stanford University News Press Release, September 21, 2014. A preliminary report from the Caris Registry™ demonstrated significantly longer post-profiling survival in patients with ovarian, Fallopian tube or primary peritoneal cancer who were given treatments that their tumor profile showed were likely to benefit. Data from an ovarian cancer registry presented at the 2014 European Society for Gynaecological Oncology (ESGO) annual meeting reinforce comprehensive tumor profiling as a “game changer” for oncologists. The preliminary report from the Caris Registry™ demonstrated significantly longer post-profiling survival in patients with ovarian, Fallopian tube, or primary peritoneal cancer who were given treatments that their tumor profile showed were likely to benefit them, as compared with patients who were treated with drugs that profiling suggested would be less effective. Data revealed that patients whose treatment was guided by tumor profiling had a 46% lower risk of death (Hazard Ratio = 0.54, p value = 0.0018). The comprehensive tumor profiling service used in the study measures a broad range of cancer “biomarkers” (proteins, genes or other molecules that affect how cancer cells grow, multiply and respond to therapies) and interprets the results to identify treatments most likely to be of benefit and help eliminate those that are less likely to benefit the patient. The results allow oncologists to better determine appropriate treatments for each patient, based on the individual makeup of their cancer rather than the site of the tumor. Data from earlier studies show that comprehensive tumor profiling consistently identifies biomarkers linked to specific treatments in over 90% of patients, and that clinicians change their intended treatment decision based on profiling results in over 80% of cases. Across a range of cancer types, tumor profiling-guided treatment has been shown to benefit patients and improve outcomes when compared to unguided treatment. The ESGO data demonstrate that for many ovarian cancer patients who have run out of options, comprehensive tumor profiling consistently offers oncologists actionable insights to help choose a patient’s next treatment and can improve patient outcomes. Caris Molecular Intelligence™ is not yet formally reimbursed across Europe but it is available to purchase in all European markets. Individual insurance companies, clinics and organizations in some countries have agreed to reimburse the service on application. Caris Life Sciences is dedicated to working to ensure the service is reimbursed across Europe. 1. Poster by Oliver KE et al. Tumour molecular profile-directed treatment is associated with improved survival in recurrent epithelial ovarian cancer. ESGO 2014. See also Oliver KE et al. The impact of tumor molecular profile-directed treatment on survival in recurrent ovarian cancer. J Clin Oncol 32:5s, 2014 (suppl; abstr 5591). 2. Astsaturov IA et al. Profiling of 1,250 neuroendocrine tumors identifies multiple potential drug targets. J Clin Oncol 32, 2014 (Suppl 3; Abstr 214). 3. Epelbaum R et al. Molecular Profiling (MP)-Selected Therapy for the Treatment of Patients with Advanced Pancreaticobiliary Cancer (PBC), 2013 ASCO GI Symposium. Jan 2013. (Abstract Number 195). 4. Von Hoff D et al., Pilot Study Using Molecular Proﬁling of Patients’ Tumors to Find Potential Targets and Select Treatments for Their Refractory Cancers, J Clin Oncol. Nov 20;28(33)2010:4877-83. Compare Doroshow JH. Selecting systemic cancer therapy one patient at a time: is there a role for molecular profiling of individual patients with advanced solid tumors? J Clin Oncol. 2010 Nov 20;28(33):4869-71. doi: 10.1200/JCO.2010.31.1472. Epub 2010 Oct 4. [PMID: 20921466]. 5. Tsimberidou AM et al., Personalized Medicine in a Phase I Clinical Trials Program: The MD Anderson Cancer Center Initiative. Clin Cancer Res 18:6373-6383. Caris Life Sciences is a leading biosciences company focused on fulfilling the promise of precision medicine. Caris Molecular Intelligence™, the industry’s first and largest tumor profiling service, provides oncologists with the most potentially clinically actionable treatment options available to personalize care today. Using a variety of advanced and clinically validated technologies, which assess relevant biological changes in each patient’s tumor, Caris Molecular Intelligence correlates biomarker data generated from a tumor with biomarker/drug associations derived from the cancer clinical literature. The company is also developing a series of blood tests based on its proprietary Carisome® TOP™ platform, a revolutionary blood-based testing technology for diagnosis, prognosis, and theranosis of cancer and other complex diseases. Headquartered in Irving, Texas, Caris Life Sciences offers services throughout Europe, the U.S., Australia, and other international markets. To learn more, please visit http://www.carislifesciences.eu. Dana-Farber Oncologists Differ Widely on the Use of Multiplex Tumor Genomic Testing (March 26, 2014). 2011 ASCO: Matching Targeted Therapies To Specific Tumor Gene Mutations Key to Personalized Cancer Treatment (June 3, 2011). Caris Life Sciences Launches Molecular Profiling Service For Ovarian Cancer Patients (January 14, 2011). Researchers at Women & Infants’ Hospital of Rhode Island recently published the results of an investigation into the role of hormone HE4 in patient responses to ovarian cancer treatment. Researchers at Women & Infants’ Hospital of Rhode Island recently published the results of an investigation into how we might better tailor therapy for ovarian cancer. The work comes out of the molecular therapeutic laboratory directed by Richard G. Moore, M.D., of Women & Infants’ Program in Women’s Oncology. Entitled “HE4 expression is associated with hormonal elements and mediated by importin-dependent nuclear translocation,” the research was recently published in the international science journal Scientific Reports, a Nature publishing group. 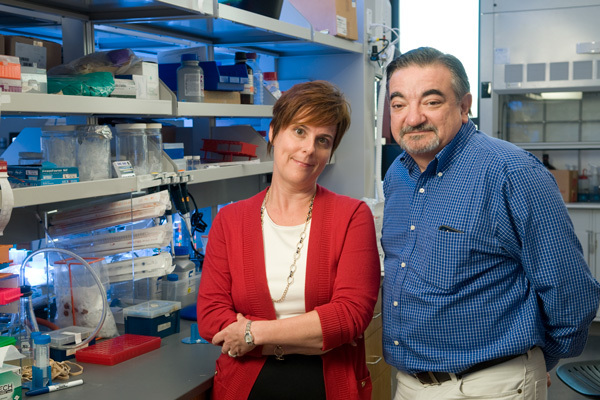 The goal of the study was to investigate the role of the hormone HE4 (Human epididymis protein 4) in modulating ovarian cancer’s response to hormones and hormonal therapies. HE4 is a biomarker that is elevated in ovarian cancer and is known to play a role in resistance to chemotherapy. Hormonal therapies like tamoxifen (Nolvadex) and fulvestrant (Faslodex) are effective because they bind the estrogen receptor. If cells have less estrogen receptor expression, these drugs can’t do their job. This, the researchers believe, is due to epigenetic modifications which modify the DNA structure but not the DNA sequence itself. Overexpression led to the epigenetic modification known as decreased DNA methylation in cell culture and in human tissue samples. Treatment of ovarian cancer cells with tamoxifen and fulvestrant all cause HE4 to translocate to the cell nucleus, where it can then effect further gene expression in cancer cells. Using the drug ivermectin (broad-spectrum antiparasitic agent), the researchers were able to inhibit the protein import in-4, which then inhibited HE4 from translocating to the nucleus. If HE4 can’t enter the nucleus, it cannot affect gene expression. The ability to block HE4 from entering the nucleus restored sensitivity to hormonal therapy. Dr. Moore’s lab will continue to investigate the expression of estrogen receptors in both primary and recurrent ovarian cancers and how that relates to HE4 expression. In addition, Dr. Moore and other researchers will investigate how importin inhibitors may play a role in addressing chemoresistance to standard therapeutics, particularly in HE4 overexpressing tumors. Women & Infants’ Hospital of Rhode Island, a Care New England hospital, is one of the nation’s leading specialty hospitals for women and newborns. The primary teaching affiliate of The Warren Alpert Medical School of Brown University for obstetrics, gynecology and newborn pediatrics, as well as a number of specialized programs in women’s medicine, Women & Infants’ is the eighth largest stand-alone obstetrical service in the country with nearly 8,400 deliveries per year.In 2009, Women & Infants opened the country’s largest, single-family room neonatal intensive care unit. New England’s premier hospital for women and newborns, Women & Infants’ and Brown offer fellowship programs in gynecologic oncology, maternal-fetal medicine, urogynecology and reconstructive pelvic surgery, women’s mental health, neonatal-perinatal medicine, pediatric and perinatal pathology, gynecologic pathology and cytopathology, and reproductive endocrinology and infertility. It is home to the nation’s only mother-baby perinatal psychiatric partial hospital, as well as the nation’s only fellowship program in obstetric medicine. Women & Infants’ Hospital has been designated as a Breast Center of Excellence from the American College of Radiography; a Center for In Vitro Maturation Excellence by SAGE In Vitro Fertilization; a Center of Biomedical Research Excellence by the National Institutes of Health; and a Neonatal Resource Services Center of Excellence. It is one of the largest and most prestigious research facilities in high risk and normal obstetrics, gynecology and newborn pediatrics in the nation, and is a member of the National Cancer Institute’s Gynecologic Oncology Group and the National Institutes of Health’s Pelvic Floor Disorders Network. WIH Researchers Examine Role of Hormone in Patient Responses to Ovarian Cancer Treatment, Women & Infants Hospital Press Release, September 8, 2014. Small Phase II Study Tests the Use of Fulvestrant in the Treatment of Recurrent Epithelial Ovarian Cancer (March 15, 2009). 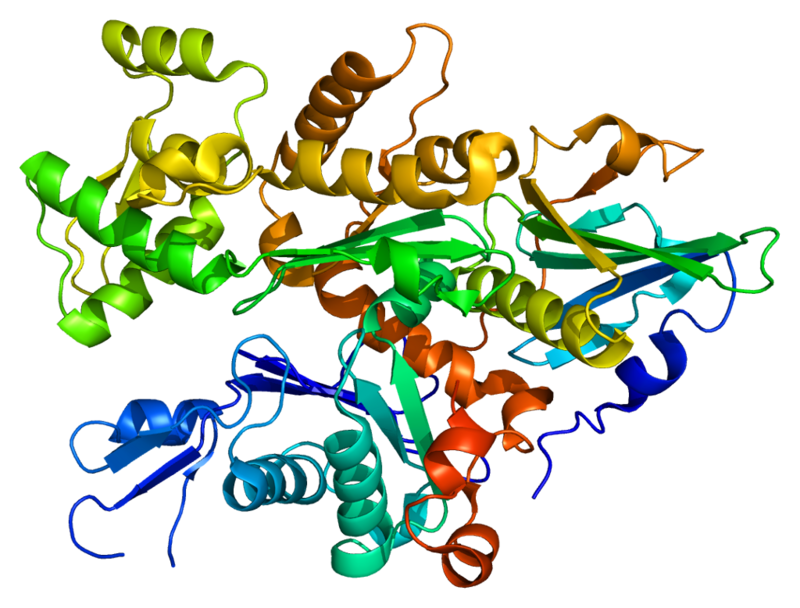 European Researchers Find Estrogen Receptor Gene Amplification Occurs Rarely in Ovarian Cancer (February 24, 2009). Working Smarter, Not Harder: Use of Anti-Estrogen Therapy to Battle Recurrent Ovarian Cancer (August 18, 2008).